Imagine being able to chat instantly with your website visitors! If you have a Facebook Business Page for your Young Living business, we are now able to put a button for your website visitors to chat instantly with you from your website, via FB instant messenger! Assist Your Site Visitors Right on Your Website via FB Instant Messenger! Imagine being able to answer a prospects question or help them get signed up – immediately! 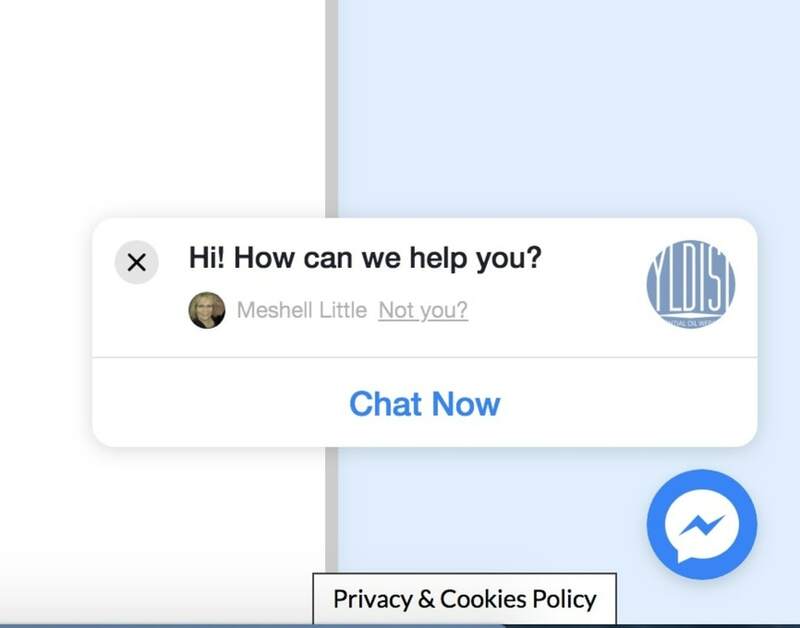 You’ll be able to communicate to them via your own FB instant messenger when they send you a message from your site. All you need to do is follow these directions and we can install the code that your site needs to make this work. 8. Check that you will enter the code yourself. NOTE: DO NOT send the request to us via this instant messenger here on this page – we need a ticket sent, please. Also be sure you watch your spam for our reply, because you’ll have to answer the reply with the code, since it won’t allow it the first time you write. There is a small symbol showing the universal FB messenger icon and it is on all pages. Your visitor can close it with the “X” and open again if they want to by clicking on the icon. You will get their message right in your FB messenger as you do all other FB messages. In fact, if you’re reading this article from the web, you see the chat window over in the lower right-hand corner!